Pluralsight is an online platform that offerings training in topics related to software, IT, data, and security. For the purpose of this review, we’ll be focusing on the Graphic Design and Game Design and Development courses that they offer. This will include a look into the programs currently available, pricing, content authors and reviews. What’s Up with Graphic Design? Photoshop CC Selections, Understanding the Pen Tool in Photoshop, Creating Templates in Illustrator—these are just a few of the courses offered on PluralSight in the Graphic Design realm (for beginners). They cover all the programs in the Adobe suite, and have “paths” for gaining expert understanding of graphic design concepts (more on paths in a bit!). 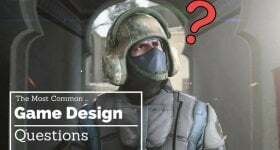 What’s Up with Game Design? If Pluralsight is making an effort to keep their content updated, they’re ahead of the game (but you can find courses from as early as 2008 on game design—technology moves quicker than that). When it comes to Maya, 3DS Max, and Unity, updates to the software can quickly outpace pre-recorded lessons. Let’s take a look at how they run one of their heavily advertised courses (we ran into a number of banners promoting the course while navigating the site). You can download a “PC game” for free. It’s called Swords and Shovels—it’s a birdseye dungeon crawler. This game is available on Pluralsight…So are the online courses that teach you how to make Swords and Shovels yourself. If you haven’t signed up yet, they’ll give you a free 10-day trial on this program. It sounds pretty good on paper. A dungeon crawler with guys who worked on Skyrim and Below and Fable?! But after a little more internet snooping, the story starts to change. At the beginning of November 2017, the course wasn’t working properly. Files were missing so participants were left watching without being able to actively follow along in their own programs. That’s not what you want. Now, according to the reddit thread, the issue with the missing files has been resolved. 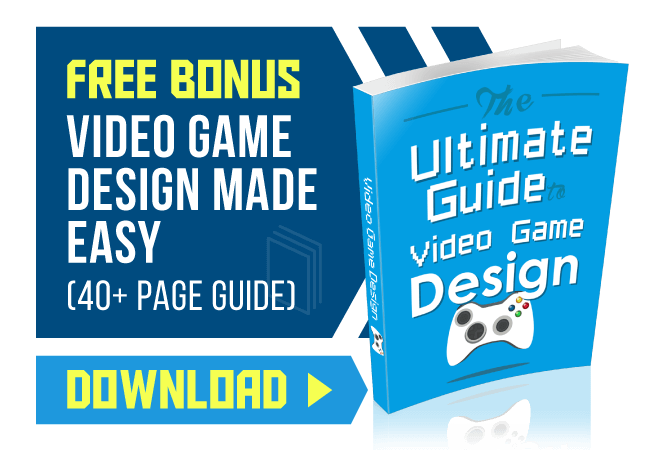 But this course was prominently featured in my search for game development courses–and I wasn’t alone. People were upset that something heavily advertised didn’t work at all as advertised. On to more positive aspects of Pluralsight. You can choose from a number of game development courses—the more you explore, the more you realize how much content there actually is. But if those aren’t what you’re looking for, you can use their search bar to find courses related to what you want to learn. PluralSight offers a really neat PluralSight IQ feature. They have beginner, intermediate, and advanced levels of courses. You don’t have to take a test to have access to the skill level breakdown—their courses are helpfully categorized based on their content. Authors – this is pretty straightforward. There is a list on the side bar of search results that you can scroll through. It has the authors of relevant content listed alphabetically by first name. Content type – this expandable option lets you narrow your search with two options: certificate and skill. Pretty obvious, but the certificate option shows courses and paths that award professional certificates upon completion. Most of the certificates focus on IT skills—certified technical coordinator training, CompTIA Network+, Fundamentals of IT Operations. These might not help you in your current career path, but at least you know they’re there. With a Skills filter on, you’ll be shown courses on C++, Photoshop, Java, Python, Android, Game Environment Modeling, Graphic Design, and more. These search results are more our speed. Skill levels – advanced, beginner, intermediate–they’re all there, and you can filter your results based on your skill level. Roles – this lets you choose between filters like business professional, creative professional, software development, and more. The creative professional filter will show you courses on adobe products, programming languages, and game design software. The software development filter will show you programming language courses and courses like “Security for Hackers and Developers.” These two “Roles” filters are probably your best bet. Certifications – the last filter option lets you pick the certification you’re looking for, and search backwards for courses that award the certification. Again, there aren’t certifications on Pluralsight that are particularly relevant to graphic design or game development—yet. If that ever changes, you know how to find that new content. 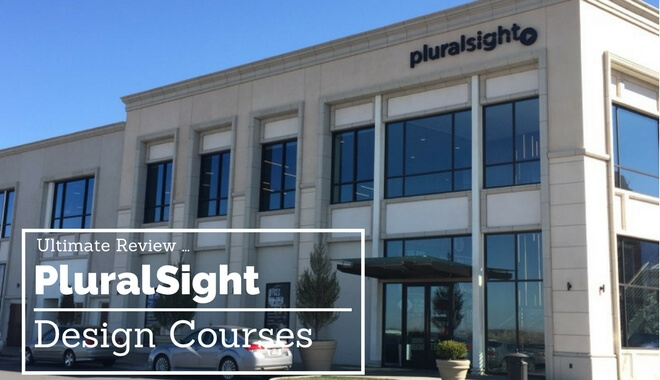 PluralSight makes it easy for you to find other courses that your favorite instructors have created. At the bottom of the course page, in the About the Author section, there’s a list of “more from the author” and a button that will link you to more courses. This won’t always be relevant, but if you’re having a really easy time learning from specific instructors, you’ll have no problem finding their other content. Instructors are incentivized to create great content, because the course revenue is based on views. All the more reason to support the courses and content authors you really like! Justin Marshall: He’s worked at Sony Imageworks on Monster House and Surf’s Up, among other projects. At the time of writing this review, he put out a new course as recently as last week. He’s been actively authoring content since 2008. Dan John Cox: He’s worked at Frozen North Productions, Pseudo Interactive, Bedlam Games, Ubisoft Toronto, and Capybara Games. He’s spoken at events around the world—GDC 2015, Creativa Mexico, GamerCamp, Game Connection Paris, and more. His courses include weapon and prop conceptualizing, modeling, and texturing, among other things. Joshua Kinney: He is a dedicated game engine author at Pluralsight. He’s developed “the core curriculum for CryENGINE, Unity, UDK, and Unreal Engine 4. His earliest pluralsight contributions appeared in 2011. James Simpson: He’s the CEO and founder of an indie game developer he founded in 2008—GoldFire Studios. He’s been building games since he was 13, starting as a self-taught, after-school game designer. That’s a tiny portion of content authors with courses on Pluralsight, but it gives you an idea of the range of experience, backgrounds, and courses. Some authors have been active for nearly ten years, churning out new content every other month. Others have courses from a few years ago. Some authors have impressive industry backgrounds. Others are dedicated course creators. As you search for courses you might want to take, pay attention to the author. Click on their name to get their profile. See what they’ve done in their career, and see if that lines up with what the class teaches. The skill assessments we mentioned earlier come back into play, here. You can take the tests before starting on a path, and you’ll start at the right place on the path based on your skill level. This could mean skipping a few courses, or starting at the beginning. Unlike other online platforms we’ve reviewed, PluralSight doesn’t have student reviews visible on the site (it’s not clear that they’re supported anywhere). So we have to turn to the greater web for some candid reviews of the site. Other people thought it was a waste of time. Who is Using Pluralsight? Is it Right for You? The list goes on and on. As a tool for businesses looking to stay up to date on latest practices and certifications, Pluralsight makes a ton of sense. Is it right for you, as an individual? Programs are released frequently, but old courses aren’t removed—meaning you could potentially get some dated material. Your best bet is to spend some time searching the course directory on Pluralsight and finding the courses you’re interested in. If you’re looking for extra training in programming languages or the Adobe suite, Pluralsight is definitely worth a look. Take advantage of the free trial and find out. P.S. There are also ways to get codes for month-long free access to Pluralsight with a little sleuthing on the web! Happy hunting.